Every Tuesday evening, a small group gathers in the side chapel of St. Andrew’s by-the-Sea Episcopal Church, in Pacific Beach, San Diego. In a beach community, such as ours, there is a diversity of people, some of whom enjoy the endless summer and the surf, others who love the bar scene, yet with them is a community of people who hunger. 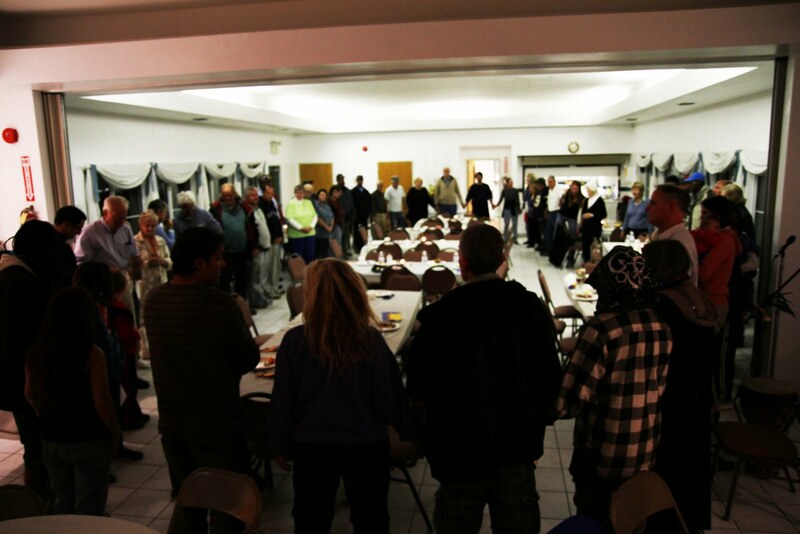 Before our Tuesday evening gathering in the chapel, those who are hungry in our community, share a meal. Sometimes there are as few as forty people there, other times as many as one hundred. It is a generous kind of space for community that gets formed each Tuesday night, with cooks preparing a meal in our own parish kitchen, and guests sitting at tables as we pray together for God’s Kingdom to come in own Pacific Beach and into the lives of all those who long for His hope and healing. Thus it is, through prayer, that one hunger gives way to another: the hunger for authentic community. From what has been shared with me, one of the most debilitating challenges of living on the street, or in your car or truck at some quiet parking lot somewhere, is the invisibility you have to bear. Most people simply don’t see you. There is a sense, in the words of Gustavo Gutierrez, the Peruvian liberation theologian, that this invisibility in the eyes of much of the local population is tantamount to becoming, in the eyes of society, a ‘non-person’. For Gutierrez, the non-person is the human being and child of God who stands at the street corner, shuffling along the sidewalk day after day, who sleeps under bridges and in bushes, who searches the trash for something, anything to eat. Tuesday nights at St. Andrew’s are a first attempt to offer a space for community beyond invisibility, and from the hunger that is fed at the dinner tables of our parish hall, another hunger – for love, for forgiveness, for life – is tentatively met as some of those guests gather with some of our congregation members around the Eucharistic table. As we gather to share another meal, this time of bread and wine, we share our insights and stories as we hear the gospel declared amongst us, and it is here, as we orient ourselves to God’s presence with us at the Communion table, and within and between one another, that the holy breaks in. Stories of being lost, being found, of hurting and of healing, of hunger that takes so many different forms, are shared and in that sharing a little of each of us is moved closer the other. It is what church growth writers call transformation, and it is what biblical theologians call holy ground: God’s communion with us, emerging between the cracks of fragile relationships as we make just that little bit more room for one another. And thus, another, Third Space is formed, a holy Third Space. It was my inclination within that Third Space last Tuesday night to offer an invitation to those who had gathered around the Communion table to take the holy with them: take it out into the community beyond, like the Gerasene Demoniac in Mark 5:1-20, back to the community that at times leaves them for dead, and declare that there is life to be shared amongst us. God’s holiness in our time and place is no pillar of fire, it is broken shafts of light, which if enough care is taken to notice, pierce the gloom of invisibility.